Power aircraft flights within ATZ in altitudes under 2500 ft/830 m AMSL are prohibited due to noise abatement restrictions. Flights over populated area of Klatovy are prohibited. Aircraft shall be parked only on designated parking place and further away from the parking place towards the west along the the edge of TWY of RWY 27R north strip. Standing and parking near fuel and on manipulation area in front of aeroclub hangar is prohibited. 1.1RWY may become unserviceable after long lasting rains or snowing. Snow clearance is not provided on movement areas. 1.2.1The traffic circuit altitude is 2650 ft/805 m AMSL. 1.2.3After take-off from RWY 27 continue on track 270° to avoid populated area of Klatovy city. Make cross wind turn over the spot Klatovský bor intercepting track 360°, make down wind turn north of village Štěpánovice. Fly down wind avoiding populated areas of villages Štěpánovice and Točník. Commence the base turn east of Ostřetice village. 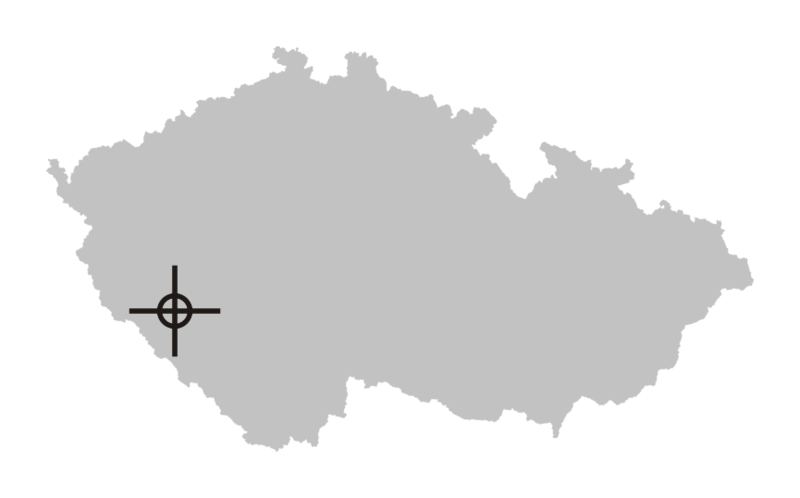 The final turn shall be carried out between villages Ostřetice and Bolešiny outside its populated areas. 1.2.4After take-off from RWY 09 the flight shall be carried out between villages Ostřetice and Bolešiny outside its populated areas, make cross wind turn east of village Ostřetice, fly down wind north of village Ostřetice, base turn shall be carried out south of village Točník outside village Štěpánovice. 1.4The road in the vicinity of THR RWY 09L/09R shall be overflown due to safety at least 15 m from the lowest part of the aircraft or towed object. 1.5Arrival and departure of aircraft without two way radio contact is possible only after previous agreement with Providing information to known traffic unit or the aerodrome operator. 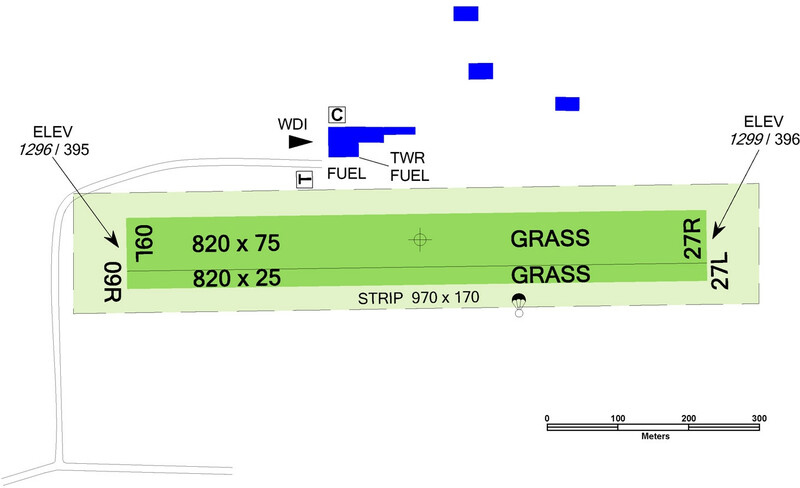 1.6Aircraft shall be parked only on designated parking place and further away from the parking place towards the west along the the edge of TWY of RWY 27R north strip. 1.7Outside operational hours arrivals are allowed only by prior arrangement with the aerodrome operator. 2.2Arrival/departure of an aircraft with total length of fuselage greater than or equal to 9 m or with maximum fuselage width greater than 2 m is permitted only by prior agreement with the aerodrome operator (to arrange rescue and firefighting services). 2.3Use of AD for night VFR flights is possible only after prior agreement with AD operator and after check of serviceability and familiarization with local traffic conditions. 2.4RWY 09R/27L is equipped for night traffic operation with two rows of lights. 2.5Standing and parking near fuel and on manipulation area in front of aeroclub hangar is prohibited.